So you have an eight-hour layover in Los Angeles — home of Hollywood, never-ending sunshine, and traffic. Leaving the airport might not feel like the best idea. But if you plan ahead and stay close to the airport, you’ll be back in enough time to go through TSA and get to your gate without breaking a sweat. Surprisingly, LAX is surrounded by more than just planes and airport terminals. There are beaches, local eats, and television show backdrops nearby! Here are a few suggestions for making the most of your extended layover at LAX. When you’re fresh of the runway, food is probably at the top of your list of priorities. No shade to airport food, but nothing beats a meal that speaks to the city you’re visiting. If your layover starts before 3 p.m., The Coffee Company is less than two miles from LAX. The local favorite is known for its Hawaiian bread french toast, homemade biscuits, and offers vegetarian-friendly options. A burger might not be at the top of your list, but it wouldn’t be right for me not to mention the Los Angeles staple with a cult following — In-and-Out. A double-double with fries, ‘animal style‘, of course, might leave you wanting a nap, but you’ll do plenty of walking as you explore. 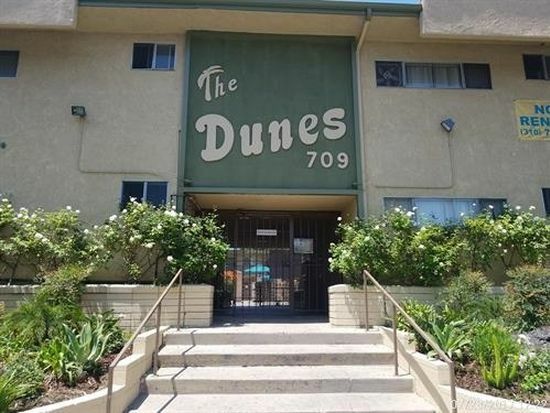 If you’re an Insecure fan, you can’t leave Los Angeles without getting an Insta-worthy photo in front of the Inglewood apartment Issa and former bae Lawrence shared, The Dunes. The Dunes is only about a 5-mile drive. If you’re wanting to see another site from Insecure, take a ride to Leimert Park where you can find Issa’s go-to taco spot, Worldwide Tacos. Both of these locations are less than 10 miles from the airport, but in the land of traffic, 10 miles can take 35 minutes — so keep that in mind. One of the perks of laying over at LAX is that you’re close to quite a few beaches, including the famed Venice Beach. If you enjoy people watching and soaking up the sun, take a stroll on the Venice Beach Boardwalk. While you’re there, stop by the Small World of Books. The independently owned bookstore is known for its large selection of titles — you might find a new book to read on your flight. Just one mile away from the Venice Boardwalk is Venice Beach Wines. They offer an extensive selection of wines, charcuterie and cheese options, as well as menus for brunch, lunch, and dinner. If you’re looking for a happy hour stop by between 3:00 pm-6:00 pm Monday through Friday. After a glass of wine (or two), you’ll be relaxed and ready for takeoff.